The individually selected Silver Wires are uniquely heat treated before being constructed into conductors which are Cryogenicallly treated prior to being hand built into the very special Link Cryo Reference Interconnects terminated to customer specification. This cable is not a mass produced cable and can therefore be Custom built to your specified length and we offer a choice of superbly high quality connectors for termination. The Link Cryo Reference can be produced as a Fully Balanced Cable with XLR termination and also with Din Connectors for Naim Equipment. 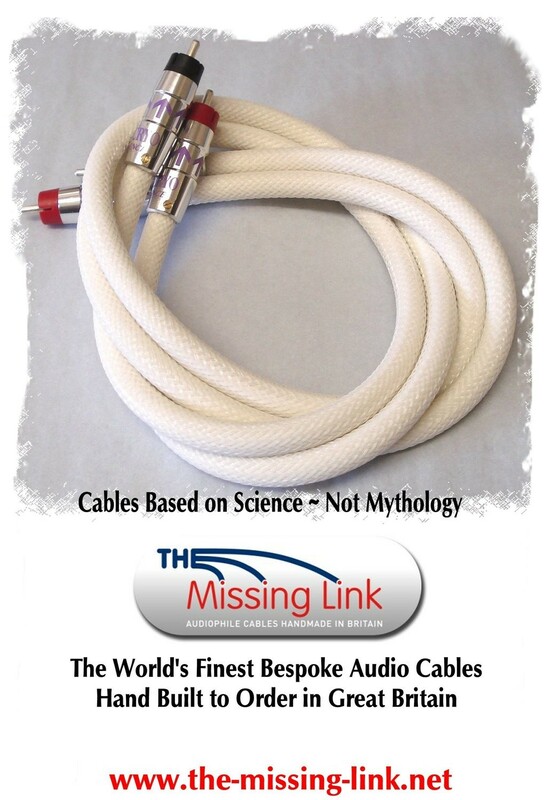 The Missing Link pure Silver audio cables are constructed from the finest materials currently available. The conductors used in each Link audio cable are extruded from specially produced hyper pure laboratory grade Silver bullion that has been tested for purity and specially selected by The Missing Link. Finally each cable receives its unique registration number & signed certificate with is your guarantee of unprecedented British Quality and meticulous craftsmanship. Each pair of Missing Link pure 5n Silver Link Cryo Reference Interconnects is Custom built to order allowing you to choose any length, a choice of Braid Colour and termination option. Featured in Hi Fi World: World Standards Presentation Awards: Our Favourite affordable high-end interconnect outperforming designs at three times its cost. "The finest affordable high end interconnect cable available"